Get excited for Ong Seong Wu 1st Fan Meeting in Malaysia 'Eternity', taking place on 23rd March at Axiata Arena. Online tickets will go on sale on 16 February 2019, 10am onwards via airasiaredtix.com. Many fans have expressed their excitement as this fan meeting marks Ong Seong Wu first official event after Wanna One disbandment. 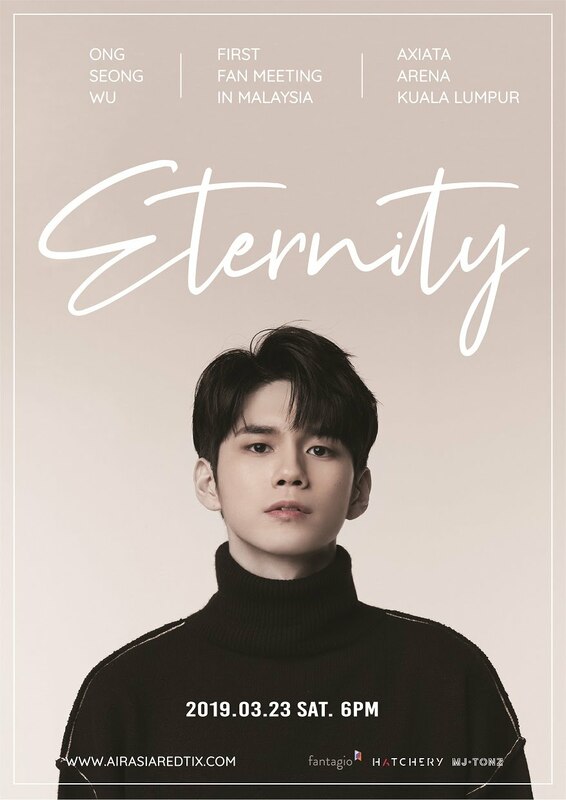 Ong Seong Wu is set to kick off his first solo fan meeting in Thailand on 16 March, then meeting fans in Malaysia on 23 March and make his final stop in Singapore on 6 April. Organiser, Hatchery has announced Thailand stop fan meeting tickets have completely sold-out as soon as it went on sale, and the official hashtag #ONGSEONGWU1stFanMeeting even placed on the top ranking of Twitter's worldwide trending list. 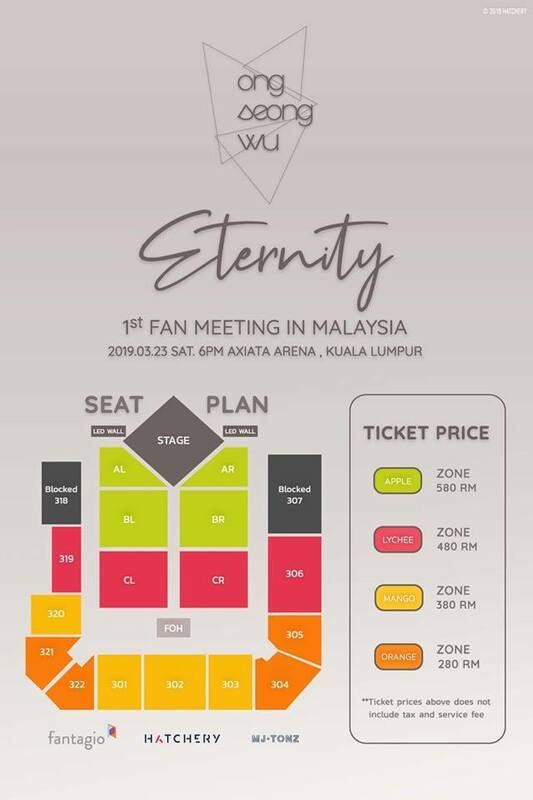 Looking forward to seeing Ong Seong Wu in his fan meeting tour. Apple Zone (RM580) tickets have completely sold out, leaving Lychee zone, Mango zone and Orange Zone on sales via https://airasiaredtix.com/eternity. 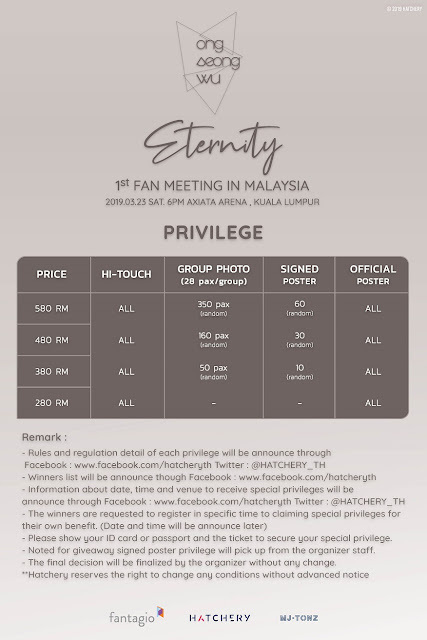 Hi-Touch privilege will see lucky fans having an up-close opportunity encounter with Ong Seong-wu. Also, fans will stand a chance to win an Enternity Tour official poster with Ong Seong Wu autograph on it. There is more for fans as Ong Seong-wu, will be taking group photos with 350 ticketholders from the Apple Zone, 160 from Lychee Zone and 50 from Mango Zone. The participants will be randomly chosen. 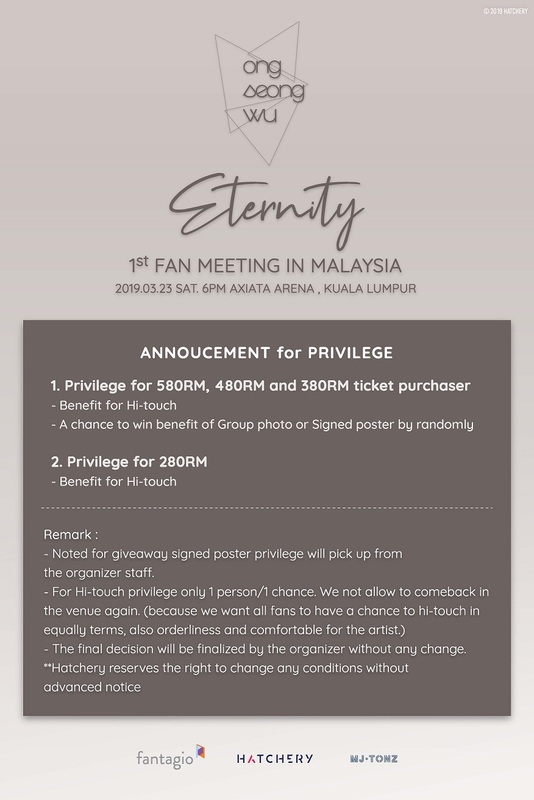 Added to the fans benefits is a plastic card ticket which is a special gift prepared by the organiser, Hatchery. A booth will be set near the entrance where you can exchange it as souvenir. For more information about event, do check out Hatchery Facebook Page.